Documentary examines how Welles viewed the world. In the filmmaking world, only Alfred Hitchcock has been studied in such depth as Orson Welles, perhaps because both men are known as much for their iconic personalities as for their work. Welles has been the subject of countless documentaries, and with the eagerly awaited release of his previously lost film, The Other Side of the Wind, imminent, we'll no doubt see further studies of Welles. 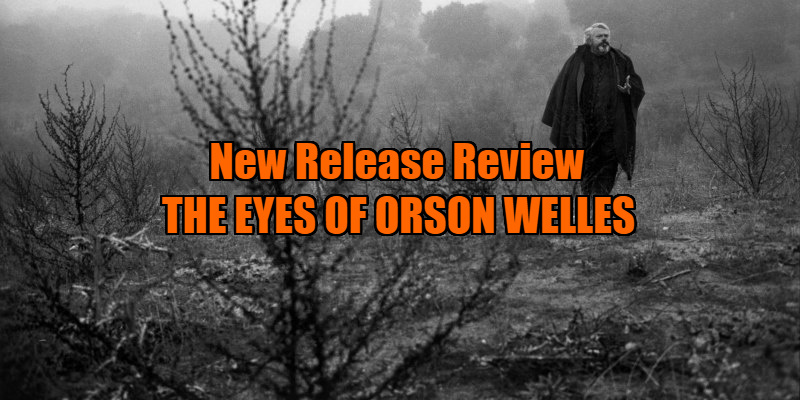 Mark Cousins' The Eyes of Orson Welles stands out from the crowded field of Welles docs because unlike the rest, which look at Welles from an outsider's perspective, Cousins attempts to get inside Welles' head, behind his eyes to be precise. This isn't a film about looking at Welles, but rather one about how Welles looked at the world. Cousins does so by examining a collection of Welles' paintings, sketches and drawings, the Northern Irish filmmaker having been granted exclusive access to such prized artefacts by Welles' daughter Beatrice (whom you can spot in a small role as a child in Welles' 1965 film Chimes at Midnight). Some of the sketches are simply rendered for fun, with dozens of handmade Xmas cards among the collection; some are blueprints for various projects, either on film or stage, that Welles was either working on or pondering at the time; and some represent snatches of time frozen by the artist's brush on his worldwide travels. Cousins draws parallels between many of the sketches and images in Welles' films, noting how some drawings almost serve as storyboard renderings for films that hadn't even entered Welles' head at that point. One haunting sketch portrays Isaac Woodard, the African-American soldier beaten and left blind by a racist cop, whom Welles led a nationwide hunt to track down. The loss of one's means of sight clearly disturbed Welles. Tracing Welles' steps, Cousins visits the places the auteur spent time in, a journey that takes him from Chicago to Dublin, Moroccan markets to rural Spain. The blandness of the images Cousins' camera captures stands in stark contrast to the way Welles viewed such places. Cousins' passion for his subject is undeniable and infectious, but at times his film feels intrusive and presumptuous. A technique employed throughout the doc sees Cousins recreate Welles' sketches through animation, forming the paintings one brush stroke at a time - but how can Cousins know the manner in which Welles approached each drawing, and the order of his strokes? Towards the end, Cousins ever-present narration switches from his own love letter to Welles to an imagined response from the great man. Listening to a voiceover artist imitate Welles' voice, narrating an imaginary letter to this fan, is positively cringeworthy. There's a ghoulish, grave-robbing quality to some of the worst aspects of Cousins' film, none more so than when Beatrice comes across an unopened envelope addressed to a childhood mentor of Welles. Shockingly, Cousins encourages her to open the envelope, and after tearing it apart, the two are surprised to find it empty. Somewhere, Welles is emitting that great booming laugh of his. 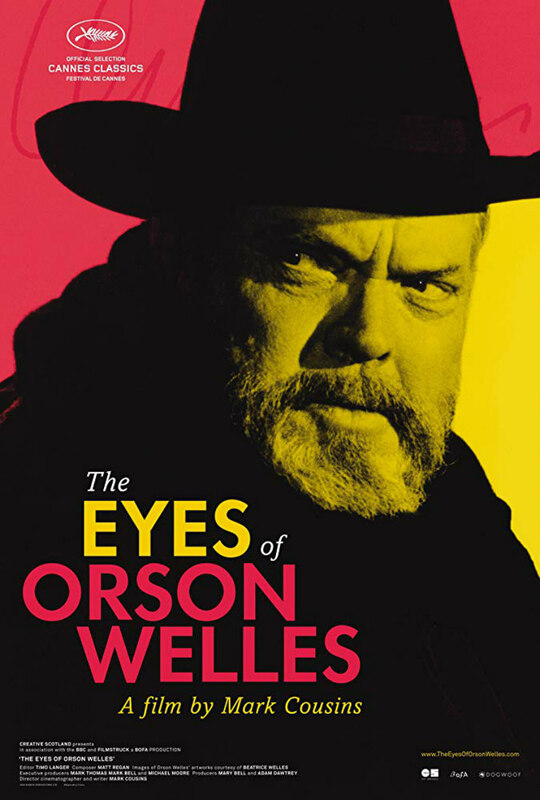 The Eyes of Orson Welles is in UK/ROI cinemas August 17th.